The all-new Toyota AYGO was to be launched to 100 UK fleet customers prior to the dealer launch. What would it take for a clever and nippy car such as the uber popular AYGO to impress a selected group of fleet customers? The challenge was on and the TMB Events & Entertainment teams threw themselves right into the deep end. On June 9th the AYGO launch was kicking off at the DoubleTree by Hilton Hotel Milton Keynes. The entire event, starting with the guest welcomed by a panda on a bicycle, bore the mark of the bold, exciting and vibrant personality of the Toyota AYGO. A dedicated booth invited guests to take their own prop under the audacious “go fun yourself” banner and… take a photo. This hilarious image was then printed onto their lanyard and published on the event microsite. 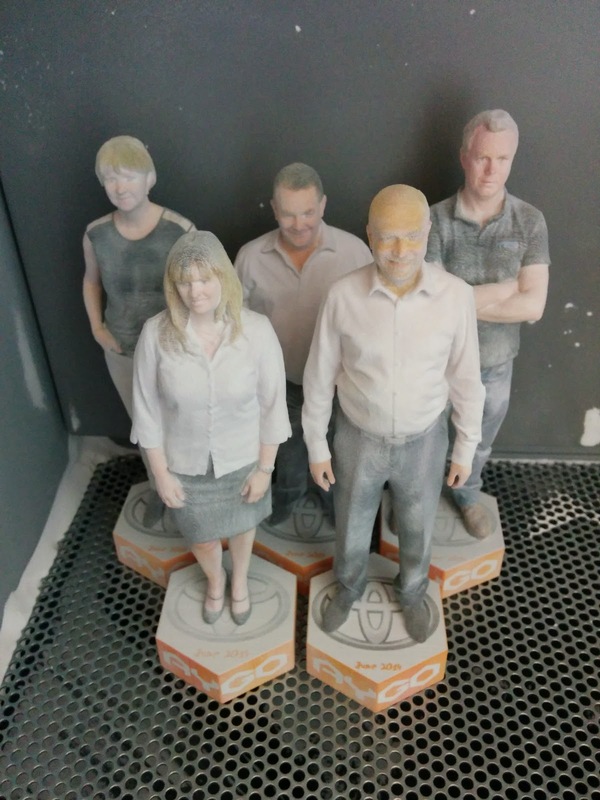 Following lunch, one of the more intriguing attractions laid out for the guests was the D3 twin photo booth, where guests could have a mini-me My3D twin image of themselves taken throughout the afternoon. 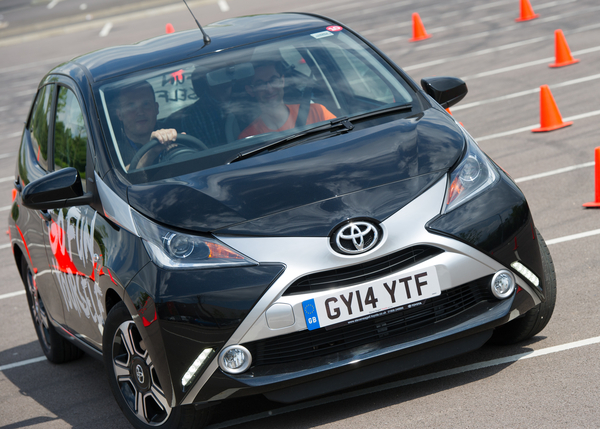 Soon after lunch, the new AYGO was unveiled at the Milton Keynes Arena as part of a product showcase, which included a preview of Lexus NX, followed by a ride & drive. But the fun didn’t stop there. Guests went on to take a tour of the Milton Keynes Dons stadium whilst being entertained by The Coneheads. A secret photo taken of them in an AYGO then miraculously appeared in their room later in the day – nothing too much, but a very nice touch! The evening started with a drinks reception in the ballroom at the DoubleTree by Hilton Hotel whist being entertained by The Nudes. 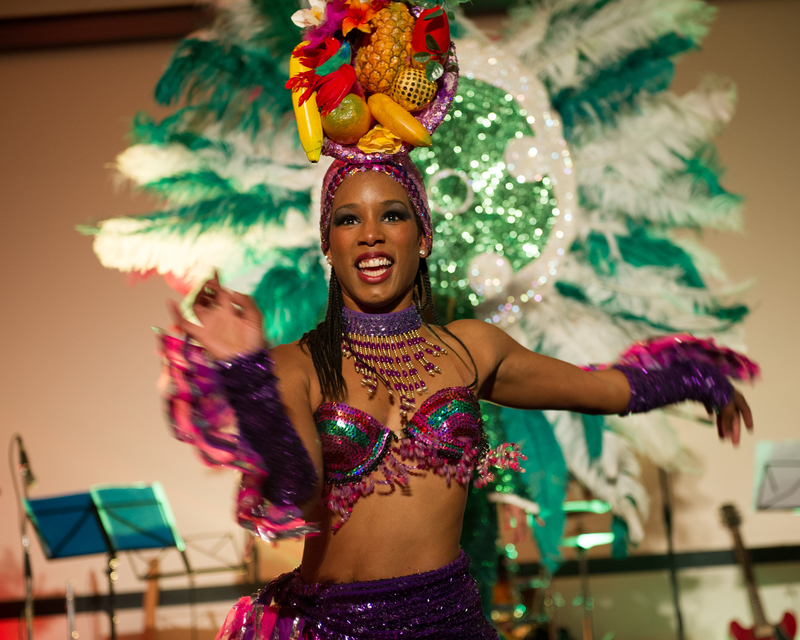 Brazilian dancers entertained guests during dinner and then guests went on to participate in the Toyota X Games which consisted of arcades such as driving games, bikes, darts, rugby and football simulators. This was followed by an X Games competition with prizes at the end of the evening. All pieces of the jigsaw came together to entertain and to communicate the surprising and highly versatile personality of the Toyota AYGO throughout this launch event with a difference. The event was combined to link in with Company Car in Action (all-manufacturer event, run by FleetNews) the next day, where the guests could drive the complete Toyota & Lexus portfolio. In addition to designing the event format and providing the entertainment, TMB Events created an event microsite for online registration using TMB’s bespoke registration management system. Our team also produced all artwork for the event branding and the collaterals and oversaw the hotel and supplier management…a complete event solution which went down a treat with our client and the event guests.